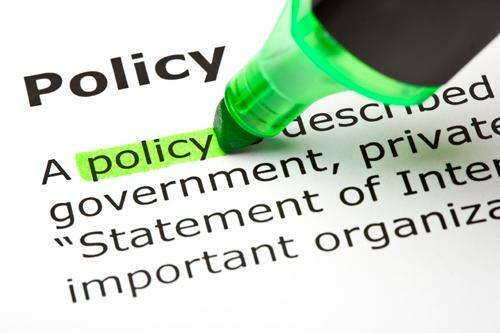 Social policy comes from decisions made within a governmental or political setting regarding guidelines, principles, legislation and activities that affect human welfare. Good social policy requires good decision making by public managers which must include divergent thinking and productive conflict. The term “social policy” also refers to policies which govern human behavior. When it comes to public managers, this aspect is critical. Public managers need to structure the decision making process so that diverse perspectives, interests and expertise are heard and taken into consideration before reaching closure. 1. Structured to encourage candor and constructive conflict. 2. Open, fair and legitimate. 3. Closure is reached by breaking complex issues down into manageable parts, transitioning into decision mode by setting clear expectations for how the final decision will be made and communicating how the decision maker’s role will change at a critical juncture in order to achieve timely closure. Encouraging candor and constructive conflict requires an understanding of how people engage with each other and how barriers to candor can be eliminated. Responding to organizational obstacles to candor requires that structural and cultural factors be addressed. Constructive conflict exists when individuals are encouraged to keep raising interesting questions that provoke new lines of discovery, keep trying to understand others’ positions and remain open to new ideas. It becomes destructive when individuals repeat worn-out arguments, opposing groups dig in their heels, loud voices dominate and individuals cross the line from issue evaluation to personal criticism. 1. Have ample opportunity to express their views and disagreements. 2. Feel the process was relatively free of secretive maneuvering. 3. Believe that the leader considered their views. 4. Believe that they had a genuine opportunity to influence the final decision. 5. Clearly understand the rationale. Procedural legitimacy, the perception that organizational processes and techniques are desirable, proper and appropriate, is also important to making good decisions. It usually means that managers are engaged in a thorough, rational decision-making process generating multiple alternatives, using formal analysis, or hiring external consultants to be thorough, rational and legitimate in their analyses. This can be viewed as manipulative if information is provided early and only to a few key executives. Eliminating this as a problem requires the creation of a level playing field ensuring equal access to all information. To check on and correct misalignment during the decision making process, it is recommended that the manager conduct ongoing process checks of his/her ability to generate dissent, manage conflict constructively and maintain process legitimacy. One-on-one meetings should be held to test any concerns that individuals have privately and team members should discuss the approach to decision making among themselves without the manager being present and the manager should pay close attention to nonverbal cues during interactions with advisers and subordinates. Coming to closure requires leadership because it involves more how to decide than on the best solution. Some teams converge too quickly on one solution without sufficient evaluation and debate. Others generate many alternatives but not one solution. I recommend the iterative process of seeking common ground repeatedly during the process and reaching intermediate agreement on elements of the final decision. These agreements bring people together and they also keep participants engaged and committed. Process-oriented closures don’t constitute solutions to the problem but rather lay the groundwork for finding solutions by setting goals and objectives, defining assumptions and decision criteria. Outcome-oriented closures consist of partial solutions that could be executed in conjunction with other proposals yet to be agreed upon. Closing the debate requires that the manager set clear expectations for how and when the final decision will be made, clearly communicate how his/her role will change at a critical juncture in order to achieve timely closure and keep the constructive conflict discussion open to the team so that solutions can be implemented effectively. Author: Dr. Springer is a professor and director of the Executive Master of Science Degree in Emergency and Crisis Management at UNLV. She is CEO of Red Tape Limited. She has served as president of ASPA and serves on the Nevada Citizen Corps and The World Affairs Council as well as the National Academy of Public Administration’s Board of Directors.